Mushrooms, onions, garlic, bananas…they’re all delicious in their own way, but storing them? Urgh! Bananas go brown, mushrooms shrivel up, and potatoes start sprouting more potatoes (which would be nice if they were in the garden, but when they’re in your pantry, not so much) – which means you’re tossing them out before you even get to use them in cooking. 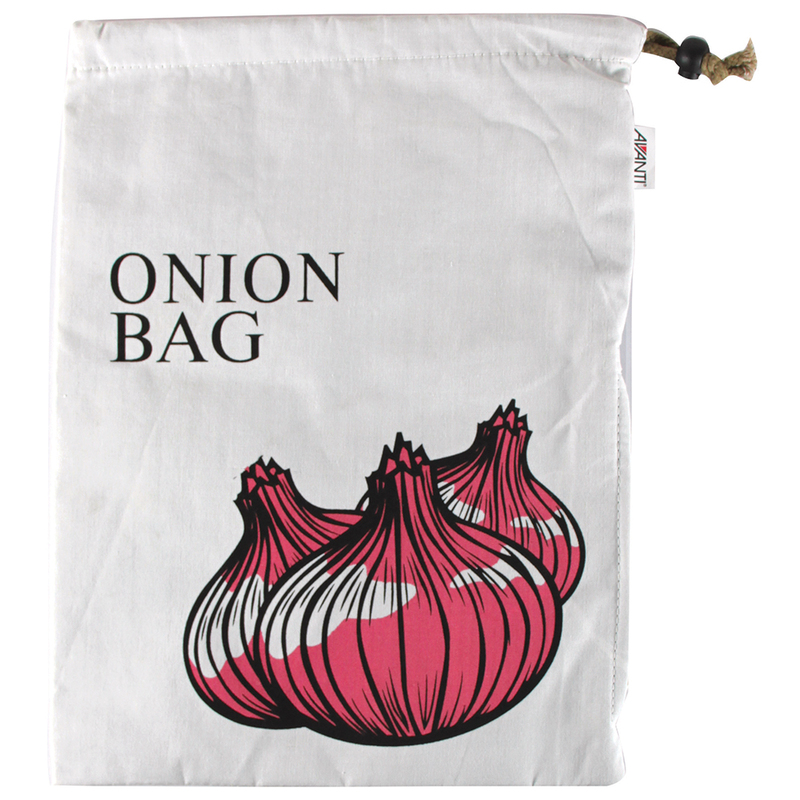 So grab a vegetable storage bag from Avanti, and ensure that your veggies stay fresher for longer. This Onion Bag will keep your onions dry and cool, and is lined in black fabric that assures they are kept in the dark, too. Your kitchen will be totally on point, with Avanti. Black lining keeps onions stored in the dark. Keeps onions dry so that they don't sweat.